​ Festival of Parties is a year-round array of events with something for everyone. You’ll find an enticing schedule that includes private recitals with guest artists, stimulating lectures, bridge and game parties, special dining opportunities and much more. These popular parties have supported the League’s mission for 20 years. 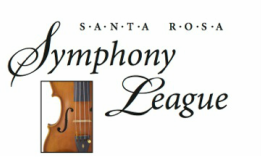 All proceeds from the Festival of Parties go to the Santa Rosa Symphony Orchestra's music education programs. ​You can make your reservations and pay online by clicking on the Learn More/Buy Tickets link under each event. Or send in your order form by mail. League Members get a discount on Festival of Party events. Learn more about joining the League. ​The Internal Revenue Code limits the amount of tax deductible contributions to the excess of the amount of any money or property contributed by the donor over the value of the goods or services received. Suggested tax deductible amounts are listed with registration information. Two special talents join the popular Del Sol Band for an afternoon of Cuban music that includes songs of pre-revolutionary Cuba recorded in 1996 by the Buena Vista Social Club. Cuban-born percussionist Carlitos Medrano and Chuck Sher, KRCB host of Jazz Connections and a world-renowned jazz book publisher, join Doug Morton, Charity Goodin, and Brad McKeague for this afternoon concert at the elegant barn of Sandra Jordan. Wine and refreshments will be served.